Pro-Russian militants opened fire on the Ukrainian army 11 times. Eight Ukrainian servicemen have been wounded since the start of the day as a result of 11 attacks by pro-Russian militants, the Joint Forces HQ has said on Facebook. 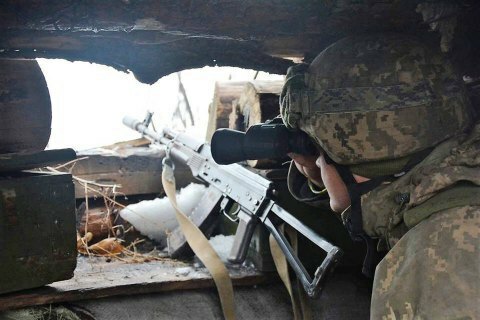 On four occasions militants used heavy weapons banned by the Minsk agreements. They also fired with anti-tank missile systems, guns of infantry fighting vehicles, grenades of various systems, heavy machine guns and small arms.